Nissan's EV may become a lot more competitive in the market. 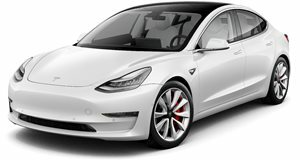 Range is one of the most important factors that people consider when buying an electric car: no-one wants to be stranded because their car to get them to work. That's why we were so disappointed by the Nissan Leaf. 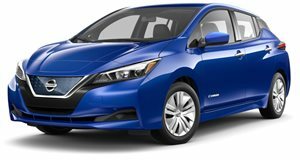 The old Nissan Leaf because, like most old EVs, its range of 107 miles was much lower than new models like the Chevy Bolt and Tesla Model 3. Unfortunately, the new Leaf can only travel 150 miles on a single charge, which still isn't that impressive. The new Leaf may not have class-leading range, but believes that it has found details on a new E-Plus version of the Leaf. The current Leaf uses a 110 kW electric motor with a 40 kWh battery. This combination gives the Leaf a 150-mile range and a lackluster 0-60 mph time of 8.5 seconds. The E-Plus version will have a larger 160 kW motor and a larger 64 kWh battery. This will increase the range up to 225 miles and will speed up the 0-60 sprint to 6.5 seconds. If these specs turn out to be true, this could completely change our opinion of the new Leaf. We like that Nissan ditched the quirky design of the old Leaf, but we weren't impressed by its performance or battery range. Nissan has also expressed interest in building a Nismo version of the Leaf. That may sound like a silly idea, but we know that electricity can be a great powertrain option for a sporty vehicle. We are looking forward to a faster Leaf with a longer range, but a Nismo version would be an even bigger treat.